Grieving and growing up both have a special talent for making us feel trapped inside our own heads. At those times, I always turn to other sources for a little wisdom and guidance, whether it be a book, podcast, or documentary. My Dream of Heaven, Within Heaven’s Gates, Intra Muros by Rebecca Ruter Springer, WHY DOES THIS BOOK HAVE A MILLION NAMES? Now, if you want help deciding which of those MANY recommendations to dive into, look no further! Here’s a quick synopsis of each, including what I got out of it so that you can figure out which would be best for you to check out first. 1 Sentence Summary: A former Supreme Court clerk decides to put her research skillz to good use and discover the real-life secrets to happiness, which she then spends a year trying to slowly implement into her life. This was the first book I picked up after my mom passed away. To be fair, I had already read this book before, so it was a re-read. But I think I rather liked the idea of knowing what I was getting into, and I already knew that I had a weird affection for Gretchen Rubin’s analytical approach to finding happiness… it’s just so neat and tidy. I needed “neat and tidy” after watching someone die. So I turned to this book, and truly I think it’s still informing the way that I try to reclaim happiness. Making yourself happy again is not the goal of grief, but sometimes you just gotta get some freaking relief from all the sadness, you know? If you want some seriously simple ideas for how to make your day to day life a little bit lighter, I totally suggest this book. Gretchen is like a scientist of happiness. She researches until she knows a topic inside and out, and then she creates a little experiment for how to apply her research, and then she reports her findings, it’s deliciously logical and interesting. 1 Sentence Summary: A young woman, skeptical of her Jewish upbringing for her entire life, eventually discovers spirituality and the power of religion for herself. Reading this book was a deeply spiritual experience. My mom actually recommended it to me a couple months before she died, but it wasn’t until about half a year later that I gave it a chance. When I finally picked it up, the author of this memoir, Danya Ruttenberg, immediately struck me as being really similar to myself. As I kept reading, I found out that our moms also died in much the same circumstance. I almost couldn’t believe it. At times, I felt as if I were reading my own story. While this was enough to make the book an emotional read for me, her gorgeous writing only strengthened my investment in her journey through religion. I found myself pouring over the pages with a pen in hand, underlining the sentences that made my breath quicken. Danya’s story compelled me to rediscover my notions of spirituality and religion in a more nuanced, holistic light. And trust me, if she was able to do that then she is some powerful writer. I was bitter. I just… if you have any conflict over religion while you’re working through your grief, I highly recommend this book. I’d like to point out, however, that Danya is Jewish. So if you aren’t someone who appreciates interfaith learning, that may be a disconnect for you. But I also think if you aren’t someone who appreciates it now, this could sure help you learn to have an appreciation for other faiths- just sayin’. 1 Sentence Summary: Let’s get inside the head of a grieving woman (Joan Didion) for the first year after her husband’s death. 1 Sentence Summary: Nina Riggs details what it’s like to be a woman dying of cancer, up to the very end. I heard about this book mainly because she was a professor at my alma-mater, and she was a dear friend to my two favorite professors. They couldn’t have been more insistent that this work be read, and so I obliged. This book is heart-breaking and beautiful. It helped me get into what my mom must have been thinking as she was going through treatment, constantly assessing her place in the world and her role in life, while trying to find a balance between hanging on and letting go. Gosh, what a strange headspace this put me into. Thankfully it didn’t last long- I tore through Nina’s compelling and intoxicating writing. 1 Sentence Summary: A young woman who has lost her mother to cancer takes on the Pacific Coast Trail by herself in hopes that by getting lost she will find herself again. I was a big ol’ idiot and read this while my mom was dying. I honestly now can’t believe I didn’t have better sense, but I also really did appreciate at the time that this book placed a tiny reminder in the back of my mind… that I was going to be okay. No matter what horrible thing happened, the thing that I knew was going to happen, I would eventually make it through. I usually forget the little details of books I’ve read- I finished this book over two years ago, but I can recall so much of Cheryl Strayed’s story, like it’s burned into my brain. I find the scene with the fox on the snow field to be particularly powerful and ever-present in my head. This book has become so present in pop-culture that I think it’s also become a little bit misunderstood. And if you think watching the movie counts, just know that it doesn’t hold a candle to the book. I love me some Reese Witherspoon, but Cheryl Strayed’s writing is just life-changing. 1 Sentence Summary: Cheryl Strayed calls herself Sugar, and people write to her confessing their most earth-shattering problems, hoping for guidance and love in return. This was another re-read! And BOY, I could re-read this book over, and over, and over again until I die. Honestly, I probably will. Sugar meets every letter she receives with reciprocated vulnerability. She acknowledges that the writer has shared something so deep and painful, and then she gets right into the trenches with them to work through it with empathy and understanding. And with profound writing, to boot. I actually recommend this book to anyone and everyone capable of reading, because there’s something for everyone in here. Some of my favorite thoughts about how to be a brave and compassionate human come from this book. And, BONUS BOOK, there’s actually a collection of just quoatable Cheryl Strayed sentences called Brave Enough that’s totally worth having around the house. 1 Sentence Summary: A man’s story of loss and love is told through the eyes of his dog. I just love this book, and it’s got some thoughts about life and death that I think about often. I actually used a quote from this book in my mom’s eulogy. Plus it’s an amazing read that I think anyone can enjoy. Plus the ending is SO sad and then SO happy that you can’t help but cry a little. Plus it’s about a dog!! Okay have I convinced you yet? I promise, it will do your aching heart a great deal of good. 1 Sentence Summary: A jaded foreign correspondent for NPR decides to travel the world studying happiness, and unhappiness, in different cultures. I think I’m starting to realize that happiness and travel are my two favorite subjects. I also LOVE when intelligent writers give themselves an adventurous project. Eric Weiner basically tasks himself with studying the causes and effects of happiness globally, thereby marrying my two favorite things into one smart, fascinating book. 1 Sentence Summary: Franz Wisner turns his shock and sadness at being left, basically at the altar, into an epic adventure with his brother around the world. The thing I really love about this book is that it proves that grief can come in a lot of forms. While Franz’s fiance didn’t actually die or anything, he absolutely lost her. He grieves the loss of her presence in his life and the thought of his new path into the future without her. In order to heal, he decides to give up just about everything and travel the world. It’s a fun read with a lot of thought on healing and moving on. 1 Sentence Summary: C. S. Lewis, famed writer of The Chronicles of Narnia, kept beautiful journals after the loss of his wife. Leave it to a writer to put all of your indescribable feelings into exquisite, simple detail. My Dream of Heaven, Within Heaven’s Gates, Intra Muros, AGAIN. WHY DOES THIS BOOK HAVE A MILLION NAMES? 1 Sentence Summary: The account of a female Christian mystic who documented her near-death experience and what she learned Heaven to be like. This read was a toooootal stretch for me. It was given to me by a dear family friend after my mom passed away, and I love this woman so much that I didn’t want to disappoint her by not reading it. I also had a really long road trip home and ran out of reading material so I thought “why not?”. Honestly, I’m not super keen on the idea of wholeheartedly believing people’s religious experiences. My logic brain keeps thinking of how reality is already just a construct our brain creates for us, as it actually has to fill in a lot of gaps already due to our sensory limitations. Seriously, look it up, our brains make up a lot of stuff. So how could some chick almost die, go to heaven, then come back and write a book about it, and get all the facts right? That being said… this book gave me so much comfort. I don’t care if it’s not real. The imagery was soothing and the peace of Heaven as Rebecca describes it just gave my heart a landing place- like I finally realized that I didn’t have to keep worrying about my mom. The imagery also weirdly coincides with the song “Where Rainbows Never Die” by the Steeldrivers- if the combination of Rebecca’s peaceful depiction and Chris Stapleton’s soulful voice doesn’t bring you to tears, I’m not sure anything will. 1 Sentence Summary: Elizabeth Gilbert explores her relationship with and opinions about what I can only describe as spiritual creativity. 1 Sentence Summary: The most entertaining, sassy guidebook you will ever find for real-world stuff. I have read this sooooo many times! Not only does it always manage to make me laugh out loud (because her humor is so delightfully sharp), but it’s also just plain old helpful. Kelly Williams Brown’s advice comes in easy-to-consume steps that are completely applicable to fixing that 20-something struggle of learning to “adult”. Sometimes when I feel like everything is going wrong, I like to remind myself that there are still some things over which I can have control. For instance- my bathtub. This book taught me how to easily clean my bathtub, and nothing makes me feel like I can survive adulthood quite like knowing that I can get it absolutely sparkling clean. Okay, maybe that’s not actually a helpful example, and I most likely just revealed how crazy I am. Eh, who cares, I love this book. If you end up being as much a fan of Kelly as I am, then you’ll have to pick up her other book Gracious. If Adulting is the practical guide to getting your external ish together, then Gracious provides the next level of getting your internal life to match the exterior. 1 Sentence Summary: Little tidbits of advice for surviving this crazy decade, with some serious gems and lots of metaphors. My mom got this book for me way back in college when I was gettin’ real overwhelmed with the big picture! I come by my bookishness naturally, can’t you tell? She was the one who taught me from an early age that if you’ve got a problem, there’s probably a book for that. I really like picking this one up from time to time because it’s such an easy read. Turn to any page, read a couple “secrets”, and have something to mull over for the rest of your day. Now what to listen to…. 1 Sentence Summary: Krista Tippett asks the great thinkers of our time what their work has taught them about being human. This podcast is my go-to when I’m in need of some wisdom or inspiration. Every episode is like a TED Talk. I particularly like the episodes with John O’Donohue, Maira Kalman, Ellen Langer, and (of course) Brene Brown. That being said, I have yet to work my way through all of the episodes! I particularly look forward to the episode with Sheryl Sandberg. Okay, that’s not a title, just a general instruction for you! That’s vague, I know, but just google her name and search for it in the place you get your podcasts. I promise you won’t ever be disappointed by hearing Brené speak. Her episode with On Being called Strong Back, Soft Front, Wild Heart was so good I listened to it twice, and her episode with Oprah’s Super Soul Conversations got split into two parts because it was too good to cut short! (I linked part 1 here so you can go listen. You can also find it wherever you get your podcasts!) Oh and, HELLO, her TED talk that started it all! It’s a must. I also think it’s really helpful to hear Brené speak her thoughts aloud. You may have noticed I don’t have any of her books on my list- I just don’t connect to her written word in the same way I connect to her vocal inflections. She’s an incredible speaker. 1 Sentence Summary: Gutted is like the millennial version of On Being and with interviews from more everyday folk… so like instead of super famous guests they’re just inspiring people you might run into on the street. I bounce back and forth with this one, like some episodes I am completely in to and then some I end up quitting halfway through because it isn’t quite hitting the nail on the head for me. But I think it’s interesting that Allie chooses to interview some really unique people, and because of that no single podcast is similar to the others. Give it a try! 1 Sentence Summary: South African Susan David talks in her ever-so-gorgeous accent about what it was like to lose her father at a young age and what it taught her about the power of our emotions and what it means to reclaim them. When I first heard this talk (on the recommendation from a friend, thank you Al!) I literally finished it and went right back to the beginning to re-listen. I had been driving home late at night from work, and hit replay as I was pulling into my apartment complex. When I finished it for the second time, I had been sitting in my car in the dark, taking in all of the wisdom- and then I grabbed for the stack of post-it notes I keep in my car so I could hold on to all those thoughts that had just been sparked. It got so many cogs going in my head. The beauty of Susan’s talk lies in the simplicity of her words. Her revelations are emotionally complex yet the logic is so unbelievably basic. It’s one of those talks that makes you feel like the secrets to life might be hiding right under our noses. 1 Sentence Summary: Eduardo gets in a CRAZY FREAK ACCIDENT and we get to witness his perseverance, positivity, uncertainty, and everything between in this documentary. When my dad suggested we watch this one night, I was like “um, excuse me?” By the way he described it (as a story about a guy who is hunting in Montana, finds a dead bear, touches it, gets electrocuted, and almost dies) I literally thought it had to be a joke. Electrocuted by a bear? Like… how does that happen? And then it turned out that I totally was wrong in my assumptions because this doc is so incredibly beautiful and real and raw. 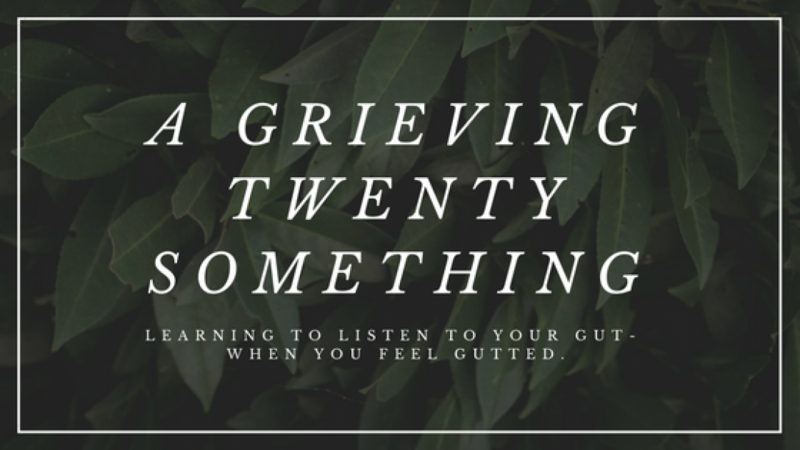 It also goes to show that grief comes in so many different forms, and we all encounter it in various ways throughout our lives. Eduardo is seriously inspiring. Plus it takes place in my home state! So it’s gorg. So now I’m curious! What resources have given you comfort and helped you rediscover your direction when all hope seemed lost?